A singer/songwriter/musician who says they wrote the lyrics for their new album while reading famed poet Lorca might draw a slightly arched eyebrow from those with antenna raised for possible pretension. The Fibs’ front man, Preston Newberry, isn’t some hipster dilettante however. The self titled second album from his Fort Worth, Texas based four piece band is The Fibs’ first release since their 2014 debut Hex Hex Hex is a collaborative effort reflective of The Fibs’ true identity as a band rather than a glorified solo vehicle for Newberry – the rhythm section of Jen and Robby Rux also assumed production duties for this album, like they did for the band’s debut. The distorted, half-human outcry opening the album soon segues into the mid-tempo bass heavy roll of “Waiting for a Train”. The guitars of Newberry and Joel Raif are geared in a compositional or orchestral direction with this opening cut and ring out with an unsettled air during the verses. They take on an even more menacing tone during the instrumental breaks while the rhythm section maintains a consistent pulse. Newberry’s singing has an authoritative bent, but there’s ample emotion clawing its way out of the mix as well. The echo drenched guitars opening “Cut Hands” heralds one of the album’s all around highlights. The six string playing remains dissonant throughout the song; there’s a clear direction to the songwriting, but it boasts a raucous edge that complements Newberry’s lyrical content despite vocals buried deeper in the mix than what we hear on “Waiting for a Train”. “Tyranny” continues the same loose, ragged but right vibe defining the album’s first two tracks. Newberry’s singing regains prominence in the mix compared to the aforementioned tune, but the vocals are more layered than we experience with the opening duo. It’s a relatively straight forward tune that deviates from its path only a few times and with satisfying results. One of the album’s fiercest guitar driven cuts comes with the fifth track “Lexicon”. Drummer Robby Rux keeps the song percolating with rhythmic energy while Newberry’s distorted vocal has an appropriately unhinged feel. The shrieking guitar breaks are evidence of how Newberry and second guitarist Joel Raif make a fine tandem for these songs. The haunted sonic landscape kicking off “Kerosene” builds into a full throated mid-tempo stomp with Newberry’s engaged vocals adding even more urgency to an already inexorable push. It’s notable how The Fibs present such obviously intelligent material that’s still super-charged with intense physical energy – it isn’t a balance other bands and artists readily achieve. Even the shorter songs hit the mark in this regard. The penultimate cut on the album, “Sapphire Eyes”, has a more relaxed air than many of the earlier songs, but still steams ahead with enough velocity to engage and hold listener’s attention. The Fibs back away from the distorted guitars here in favor of a lighter, jangling sound, but it nonetheless seems quite in character with the preceding eight songs. The Fibs end the proceedings with the album’s longest number, “Morning Train Slide”, and it isn’t difficult to see and hear how this self-titled sophomore release has a deliberate design this last song puts an exclamation point on. The rhythm section takes on the same importance with this climax they enjoyed with the album opener and the moody atmosphere of the tune never undercuts the song’s crackling energy. There’s an especially potent lead guitar break just after the three minute mark musicians and music lovers alike will find rewarding. It’s a release that, considered as a whole, represents a quantum leap forward from their fine debut and the new songs will likely take on even more vibrant life during the band’s current slate of live appearances. 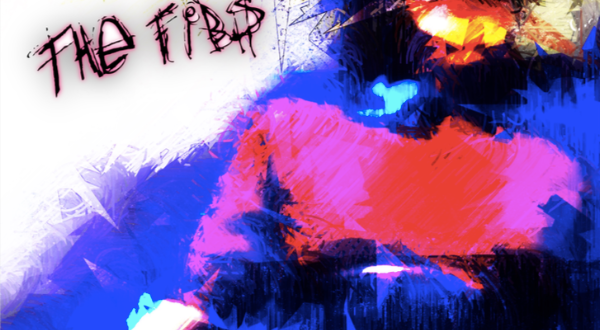 The Fibs’ self-titled second studio recording is a substantive and fully realized release.